Cockroaches are one of the most common insects. Scientists have found cockroach fossils dating back almost 400 million years. There are approximately 3500 species of cockroaches throughout the world, but only a select few are actually encountered by households or businesses in the United States. They are very successful insects because of their capability to adapt to just about any environment. Because of this, cockroaches are one of the most difficult insects to control, and if you are not careful can have a roach infestation. Don’t try to handle this problem on your own. Call Mantis Pest Solutions for cockroach control immediately after you find these insects in your home. Call us at (816) 287-5030 or (913) 225-7060 for help from our professional cockroach control team. Cockroaches develop by gradual metamorphosis which consists of developing from egg, nymph, and then into an adult. The female cockroach produces an egg capsule called an ootheca. As cockroaches molt, they are white but within a few hours turn the normal darker color. During the last molt, the cockroach will develop its wings and male and female cockroaches can be easily distinguished. The German cockroach is the most common species encountered indoors. The adults are 1/2 – 5/8-inch long. The most distinguishing feature of the German cockroach is the two dark stripes on the pronotum shield. They have well-developed wings, but never use them to fly. German cockroach nymphs are similar to the adult, but are smaller, have no wings, and have a single lighter colored stripe running down the middle of its back. German cockroaches reproduce quicker than any other cockroach. Adult females can produce up to eight egg capsules over their life span. The egg capsules will contain 30 to 48 eggs and will usually take 20 to 30 days to hatch. Because of their enormous reproduction rate, these bugs can quickly invade your home. Call for cockroach control as soon as you see signs of these bugs in your home. The Oriental cockroach is also known as the “waterbug” in certain areas of the United States. It gets this nickname because it is usually found in areas with high humidity and moisture. It ranges in size from 1 inch to 1 ¼ inches long. It is usually a shiny black but its color varies to dark reddish brown. 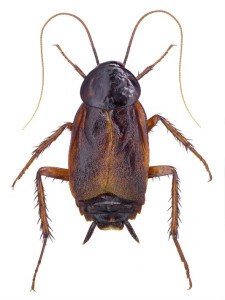 The Oriental cockroach can survive quite well outdoors and is sometimes found in decaying organic matter, under leaves, in dumps, crawlspaces, and mulched areas around flowerbeds. They are also seen in sewers, sprinkler and water meter boxes, around plumbing in bathrooms, and around drains. 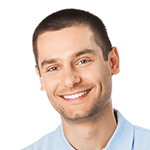 These bugs can become a huge problem if not taken care of in a timely manner. Call for cockroach control as soon as you sense a problem to prevent a roach problem. The American cockroach is also known as the “flying waterbug” or “palmetto bug”. The size of the American roach can range from 1 ½ inches to over 2 inches in length. It is reddish brown over most of its body, but has a yellow or light brown outline on its pronotum. This species has well developed wings with those of the male extending beyond its abdomen. They can fly, but are not very skilled at it. Usually they are seen “dive-bombing” from the higher limbs of trees. Pest problems can’t wait. 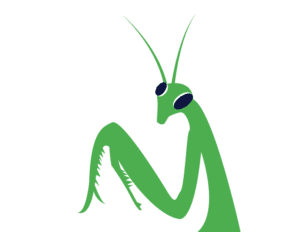 Call Lees Summit’s cockroach control experts today at (816) 287-5030 or (913) 225-7060 and the team at Mantis Pest Solutions will take care of your pests.